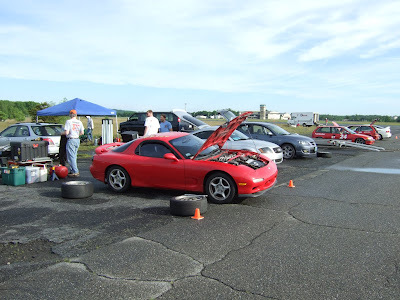 Saturday was my first points event running with SCCA New England Region! The entire atmosphere, rules, car setups, everything was completely different then what I was used to with the Renegade Miata club. 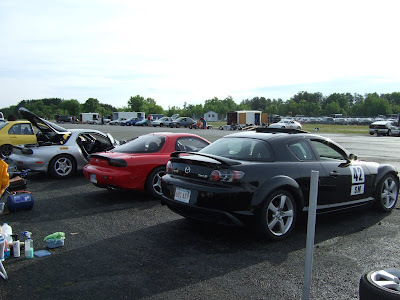 We had roughly 150 runners on the course, all with cars that were very focused on their class. I really got to see what it meant to be classed by specific modifications and how it can play a serious roll in your ranking of the class. 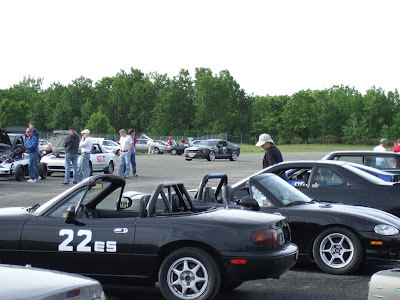 I would have to say almost everyone here was determined to top their class as drivers with SCCA, where as some other clubs, most do it for fun and some are on the competitive side. 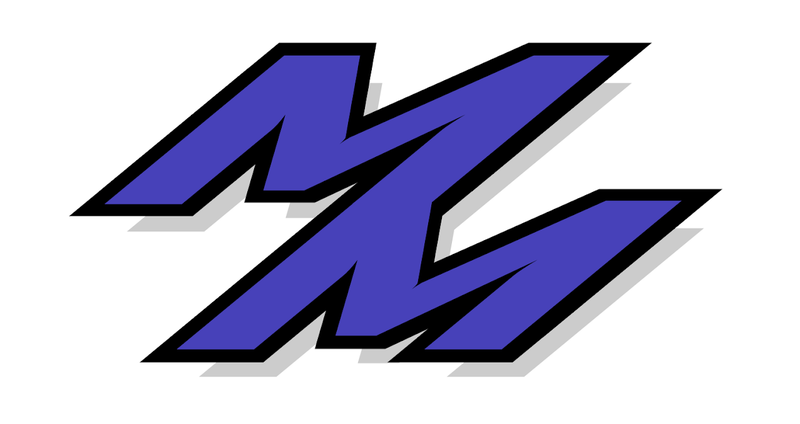 Currently I’m in the Street Modified class due to my engine work and transmission work, which is fine with me as I’m not planning Nationals (not yet anyways! 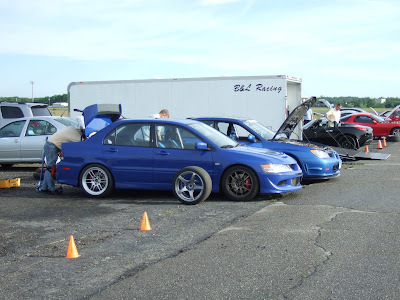 ), but it is really competitive against cars that are heavily modified. 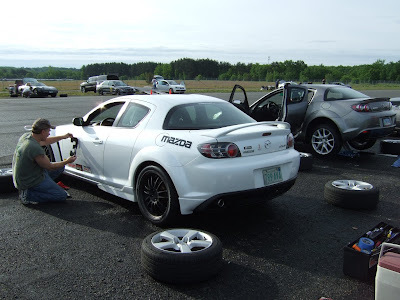 It sort of reminds me of Touge Challenge from Best Motoring, only without the horse power and street tire limits. Even though I am running on very grippy street tires, and the other 5 in my class are running on R compounds, I managed to come in 4th place, very close to 3rd with a 63’. It was nice to know that I was keeping up with street tires compared to R compounds that have a high advantage. I believe I could have done better, but I had to leave the event early due to getting sick in the middle of the heats (also the reason for delaying my post).